← Photo Challenge – Day 26. Home » Life in Photos » Photo Challenge – Day 27. Photo Challenge – Day 27. Me (in the middle) with DebraDeanGayla. Dean, seriously, the only boy cousin I have…has features and looks of his Uncle Sam. And it hurts my heart and makes me love him more. Gayla, the one chick I wanted to be like, ALL the time. And my goodness, how she loved playing with me. I couldn’t wait to see Gayla. Debra…this chick is cool. Always was…even as a young child, I remember thinking…”I will never be Debra.” She is like Joan Jett cool…and TINY!!! holy cow! she’s so cute! I miss my extended family. My Aunt Dovie, the second cousins I have never met…the cousins I never see. Methinks a family reunion should be planned. 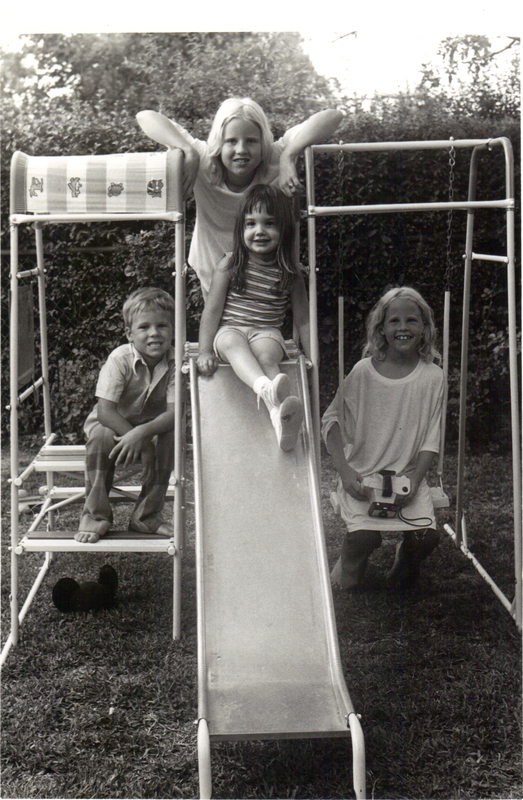 If for no other reason that I can play with my cousins again! I miss you and love you very much!